Lawyers for Microsoft and women suing the company for gender discrimination squared off in federal court in Seattle on Monday over whether the case should include 8,600 other technologists who worked for the company. U.S. District Judge James Robart had tough questions about the ties between the would-be class. Lawyers for a group of women suing Microsoft for gender discrimination faced tough questions from a federal judge in Seattle on Monday about whether their clients — and the thousands of women they seek to represent in court — had enough in common to justify a class-action case. The lawsuit is one of a series of high-profile clashes between companies in the technology sector and their critics and employees, some of whom allege that the lucrative and prestigious industry has not dismantled a boys’ club that disadvantages women and ethnic minorities. Monday’s hearing, in U.S. District Court, came 999 days after Katherine Moussouris, a cybersecurity engineer, first sued the company in September 2015, alleging that she had been passed up for raises and promotions in favor of less qualified men. She was subsequently joined by two other women, and at issue during the hearing on Monday was their motion to include in the suit some 8,600 women who worked in technology jobs at the company in the U.S. since 2012. U.S. District Judge James Robart asked probing questions concerning what caused the alleged discrimination, and whether there were strong enough ties between women there to meet the standards for a jointly argued case. 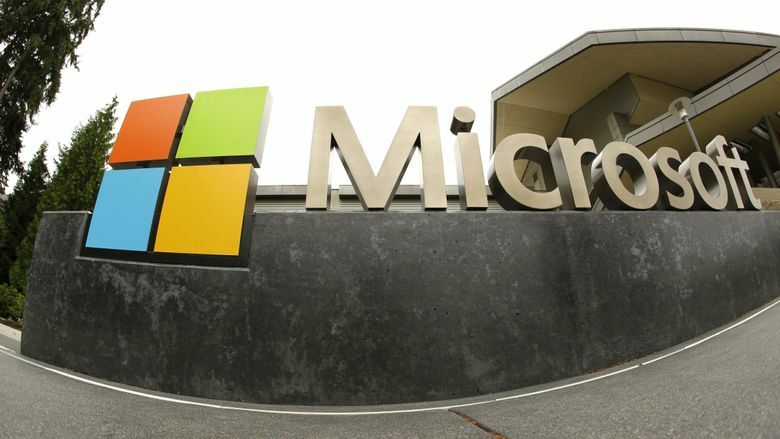 Kelly Dermody, a lawyer for the plaintiffs, said Microsoft managers were given little guidance on how to apportion pay and promotions, allowing discriminatory behavior to slip in. “The problem of Microsoft’s system is they tell managers, ‘Here are the policies, here are the criteria,’ and don’t actually give sufficient guidance on how to rate [those] criteria,” she said. The assertion of a chaotic and unsupervised process seemed at odds with the contention that women at Microsoft were the victim of practices so consistent and directed that they warranted a class-action remedy, he said. Looming over that line of thinking, and Monday’s proceedings in general, was a Supreme Court decision in 2011 that rejected a proposed class of 1.6 million current and former Walmart employees in a case alleging gender bias by the retailer. The women, the high court ruled, failed to prove their experiences were similar enough, or that company policy had led to the discrimination. Reliance on the standard set in that case could prove “fatal” to the plaintiffs’ case as currently constructed, Robart said. The judge didn’t rule on the matter on Monday, and didn’t specify when he would. Many companies have used the precedent from the Walmart case to fend off class-action lawsuits, and Lynne Hermle, an attorney at Orrick, Herrington & Sutcliffe representing Microsoft, did the same Monday, repeatedly citing the case’s standard and saying plaintiffs failed to show Microsoft policies had caused unfair treatment. Hermle, a partner at the San Francisco law firm, also led the legal team that defended venture capital firm Kleiner Perkins in a case brought by Ellen Pao, a former employee who alleged gender discrimination. That closely watched case ended in 2015 with a jury finding in favor of the Silicon Valley firm, but it sparked a flurry of attention to women’s role in the technology industry. Hermle on Monday repeated Microsoft’s contention that class-action status was inappropriate for a group that includes employees spread over 45 states and hundreds of job titles. “It’s clear that the plaintiffs could not proceed on a class basis in trial, because each class member would need to link up the practice at issue to her contention that she was entitled to more pay and promotions,” she said. Dermody said the Microsoft case had more in common with a gender discrimination lawsuit against investment bank Goldman Sachs — also by Dermody’s firm, Lieff Cabraser Heimann & Bernstein — that was granted class certification earlier this year. An expert hired by the plaintiffs in the Microsoft case estimated that Microsoft’s alleged discrimination cost women in engineering roles $100 million to $238 million in compensation, and 500 promotions, between 2010 and 2016. Microsoft spokespeople declined to comment after the hearing. “Judge Robart is known for being an extremely well prepared and careful judge,” Dermody said to reporters after the hearing. He had “a lot of questions,” she said, adding that there was no way to predict how he might rule from his line of questioning in court. During the hearing, Hermle, Microsoft’s lawyer, highlighted what she said was the paucity of women — “one tenth of one percent” of putative class members — who signed documents recounting their experience in support of the lawsuit, an indication of what she called “plaintiffs’ inability to make the required showing” of unlawful discrimination. Dermody said after the hearing that employees in a reputation-driven industry like high tech were reluctant to put their neck out, and that people’s ability to make similar claims without fear of retribution was a characteristic of class-action law. “It’s just a lot harder for people to come forward” on their own, she said.